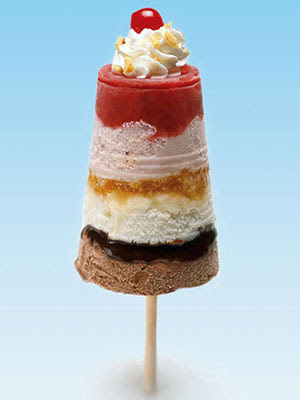 These banana split pops look amazing. 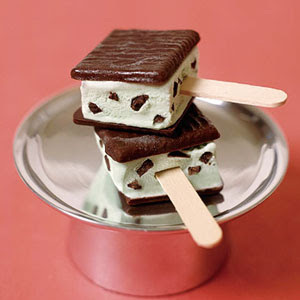 Ice cream sandwich on a stick? Brilliant idea if kids are around. 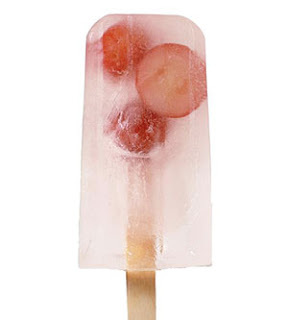 I like the idea used in these white grape pops of just combining juice with frozen fruit. More icy treat ideas and recipes here, although I am just going to add the book (Pops! Icy Treats for Everyone) to my Amazon list. Mmmm, these look delicious. Popsicles are easily one of my favorite things about summer, I will be sad to see them go as the days cool off!